In a business world where technology is constantly changing and driving the way we conduct our daily operations, it’s no surprise that security solutions are helping business owners of all sizes and industries leverage those same capabilities. 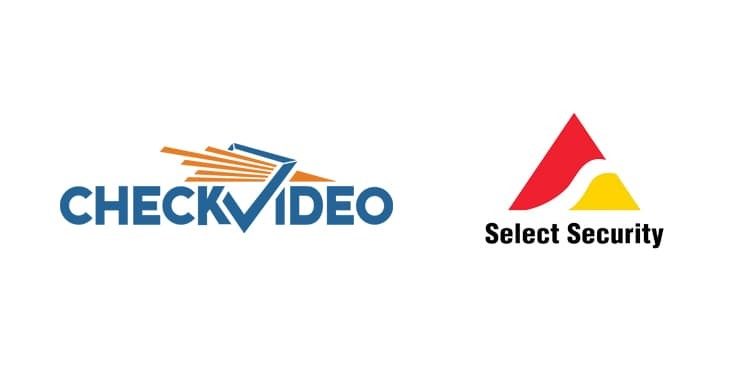 Select Security has partnered with CheckVideo to offer businesses solutions to help them overcome a variety of challenges and improve their routine business operations. We understand the need for businesses to implement technologies that can help create efficiencies, but also provide additional benefits. With the CheckVideo solutions provided by Select Security, you can run your business more effectively while enhancing the security and safety of your building(s) and employees. Have an additional layer of security. Enhance your current security system by adding these solutions to existing analog cameras and DVRs, or by using CheckVideo cameras. In addition to the security and safety benefits, CheckVideo CloudVMS™ technology offers our customers seamless integration with our network of four redundant Secure Operation Centers, sending video alerts to our monitoring specialists for immediate assessment and response. 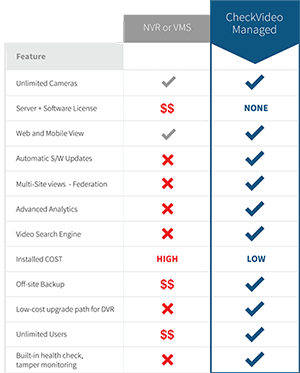 With CheckVideo solutions, Select Security can deliver a truly one-of-a-kind intelligent video security solution to our customers. The solution’s unique combination of video analytics along with the award-winning CloudVMS™ offers customers the easiest, most cost-effective and complete video solution available.